Are you tired of being bombarded with pitches from unqualified writers when you advertise on classified or bidding marketplaces? If you're looking to pull your next writer from a more professional pool, look no further. Not finding the perfect match in the directory? Consider posting an ad on the freelance writing job board instead. 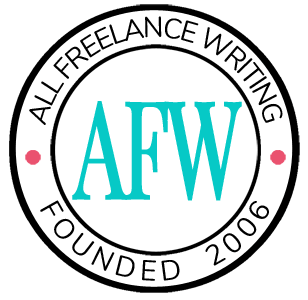 If you're looking for advertised gigs in the meantime, consider browsing my freelance writing job board, where I post ads direct-from-clients as well as curate ads from other sources (the vast majority featuring pay information so there's no guessing before you take the time to apply). Login to edit your existing profile. * If your profile wasn't tied to a user account, you can contact me to have a new account set up and tied to your profile so you can edit it independently in the future. Note: there are no longer open registrations on this site. So accounts not set up during the profile submission process will have to go through an admin. * My emphasis is on featuring more experienced writers. I set limits on rates accepted here (no less than $50 per article / per page / per hour), so you don't have to worry about getting lost in a sea of beginners or extremely low-priced writers in the all-too-common "race to the bottom" marketplace bidding structure. Here you can have a presence in a professional marketplace for a one-time fee of $24.95.